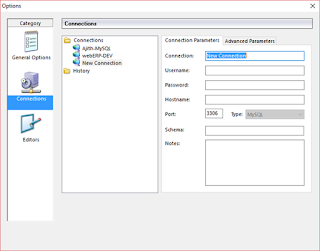 There was a recent requirement for giving remote access to the MySQL database to our ERP consultant for him to connect from home and do the work. Our MySQL database was running on our cloud “Omegha” and was by default restricted of any remote access. Instead of asking the consultant to use remote SSH using PuttY, we decided to go with a better GUI client for MySQL databases. Below are the steps used for enabling remote access to the MySQL database. Note: - Strictly not recommended for any production environment with critical data. This is a temporary requirement and will be reverted by actual security settings once the work is done. 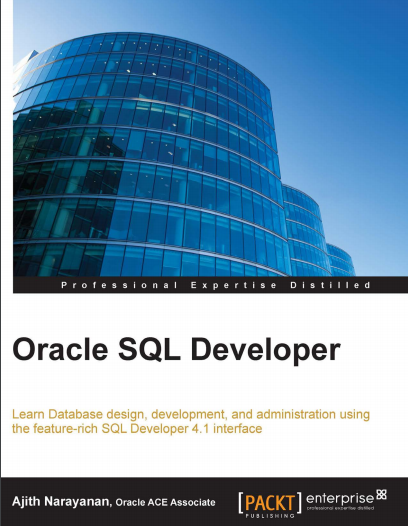 After writing my book on “Oracle SQL Developer 4.1” I’ve understood non-DBAs are more comfortable with GUI clients like “Oracle SQL Developer” or “MySQL Query Browser”, In fact it is true that such beautiful free tools, which normally people don’t care about make the work quite faster with its rich features. 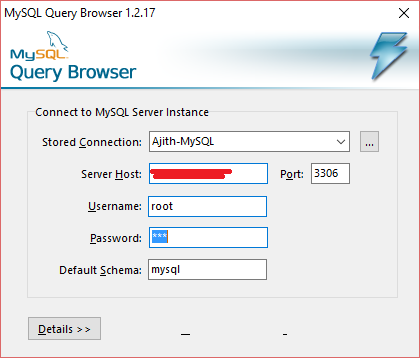 Note: - Please note that development of MySQL Query Browser has been discontinued. Step-2. 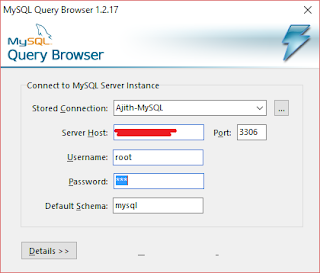 Start the “MySQL Query Browser” once it is installed, and create a new connection to your remote MySQL Database. Note- MySQL Error Number 2003, But my ping to the server was working fine. Step 4. 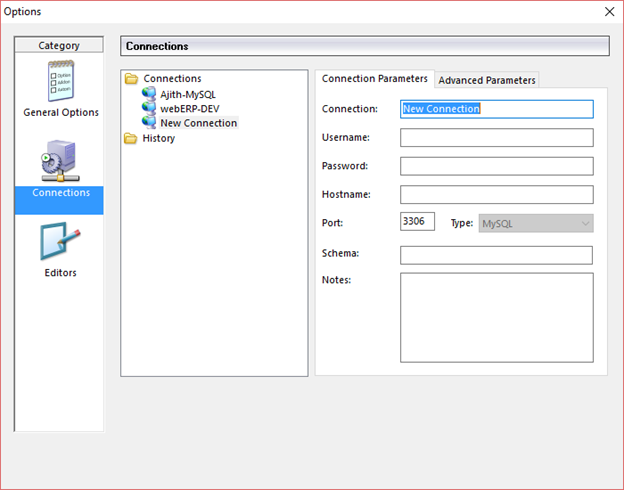 Connected to my database using PuttY and checked if I am really able to connect to the database or not. It was perfect!!! Step 5. Opened the my.cnf file under /etc/mysql directory as root user. Step8. Here comes my next error when I tried connecting. Step9. 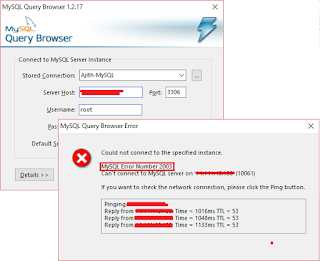 Again connected to my MySQL database and granted privileges to all the host (It includes any remote hosts too, Highly not recommended for prod envs) as shown below.